The Boys ECNL is based on the values of grass-roots collaboration and innovation. The program supports the independence and freedom of coaches and clubs to fully manage the development path for their players, including the system and style of play, the competitive calendar, and all aspects of the development path. The Boys ECNL is raising the standards in training, competition, club organization, and coaching in a holistic development program. 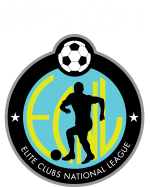 The Boys ECNL will include additional programming to support and foster club development, coaching education, and player development. Boys ECNL programs will be led by Directors of Coaching from its member clubs, using the same transparent and collaborative governance model empowering grass roots leaders that is used by the Girls ECNL.